IT was another busyweekend for members of Penrith Swimming Club who attended the annual Ulverston Gala, held at Kendal Leisure Centre. This year the club took a squad of 18 to the event. 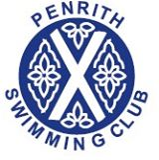 All Penrith swimmersperformed well, withnoteworthy performances from Jake Fabi, James Streatfield, Kes Fountain and Rebecca Titterington who all went home with awards. The coaches were also very pleased with theperformances of theinexperienced swimmers new to this level of gala, who showed excellentcompetitive spirit and a desire to do well. Swimmers from various clubs provided somead-hoc entertainment with a spontaneous dance-off between sessions.